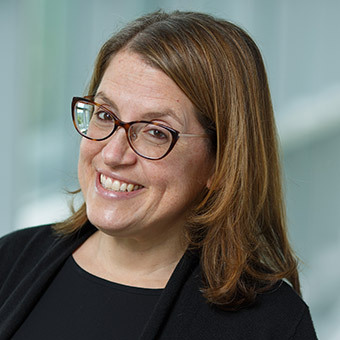 Sara Shostak's research and teaching interests include the sociology of health and illness, science and technology studies, and environmental sociology. Across these domains, she focuses on how to understand - and address - inequalities in health. Professor Shostak's first book - Exposed Science: Genes, the Environment, and the Politics of Population Health received the Robert K. Merton Book Award from the ASA's Section on Science, Knowledge and Technology and the Eliot Freidson Outstanding Publication Award from the Medical Sociology Section. Drawing on in-depth interviews and ethnographic observation with nearly 100 environmental health scientists, policy makers, and environmental health and justice activists, Exposed Science analyzes the rise of the study of gene-environment interaction in the environmental health sciences and examines its consequences for how we understand – and seek to protect – population health. Professor Shostak has been at the forefront of efforts to understand the social, ethical, and political dimensions of genetics for multiple users of genetic information. She served as an associate editor of a special issue of the American Journal of Sociology, Exploring Genetics and Social Structure. She participated in a decade-long collaboration with genetic epidemiologists at Columbia University to explore the implications of genetic testing in the epilepsies. She has an extensive record of publications on whether and how genetic information shapes people's lives and life chances. Professor Shostak's current research focuses on urban agriculture in Massachusetts. Using ethnographic and community based participatory research methods-in collaboration with students- her ongoing projects examine the emergence of agricultural initiatives in different urban contexts, the diverse hopes and aspirations that motivate urban agriculture organizations, the experiences of practitioners, and the profound cultural work being done alongside the cultivation of fruit and vegetables. Professor Shostak is the editor of Volume 18 of Advances in Medical Sociology, entitled Food Systems and Health. Professor Shostak's research and teaching have been supported by the National Science Foundation, the National Institutes of Health, the Robert Wood Johnson Foundation, the ASA Teaching Enhancement Fund, and the Merck Family Fund, among others. In 2013, she was honored to receive the Michael L. Walzer ’56 Award for Teaching. Office Hours: Thurs. 1-2:30 p.m.